Large Tulip Stem with real touch feel. 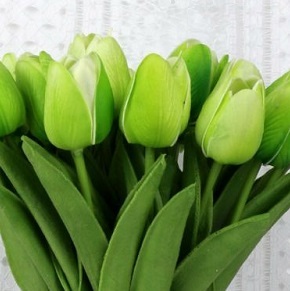 The green tulip is gorgeous with paired with the orange Tulip, also available. Place a bouquet at the altar, wedding buffet, anniversary party, or use as an Easter Centerpiece. Rent or Own.